Rasool, Zalmay Rasul Rassoul Dr.
Name Rasool, Zalmay Rasul Rassoul Dr.
Dr. Rasool was a taciturn figure during the years he served Ex King Zahir Shah as a Chief of Staff and Hamid Karzai as National Security adviser. The former doctor has yet to exhibit the kind of charisma that might help champion Afghanistan's case for continued support abroad. Some time ago Rasul said that until a few months ago he had expected to retire and play golf. Now Hamid Karzai made him his favorite candidate for the presidential election 05 apr 2014. Dr. Zalmay Rasool Rassool Rasoul son of Professor Dr. Abdul Qayoom Rasool was born in 1944 in Kabul. Sources say he is a Pashtun others say he is Tajik. He completed his primary and secondary education in Estiqlal French High School. 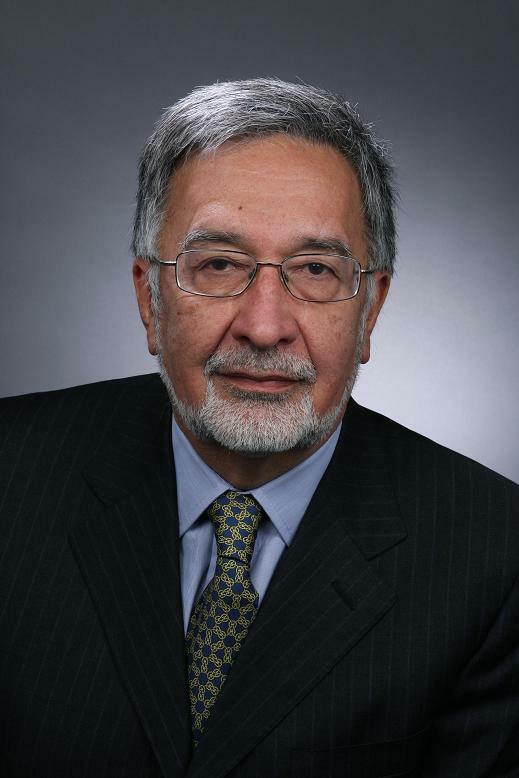 Dr. Rasool received 1973 his Doctorate from Paris Medical School, France. As a medical practitioner, Dr. Rasool has served at many prestigious institutions, which include the Research Institute of Cardiac Diseases Paris, the Military Hospital of Saudi Arabia. Dr. Rasool also served as the Chief of staff of H.M Father of the Nation Mohammad Zahir in Rome (1999) . He also worked for Haqiqat e Afghan Publication regarding Jihad in Afghanistan in Paris. He returned to Afghanistan with the King in 2002 and served as a Minister of Civil Aviation and Tourism during Afghanistan's Interim Government and as a National Security Advisor during the Transitional Islamic State of Afghanistan. He is Chairman of National Security Council since 2003. He is close with Karzai and a Royalist. He was confirmed by Wolesi Jirga as Minister of Foreign Affairs on 20100116 (132 for, 82 against, no blank, no invalid). Dr. Zalmai Rassoul (Pashtun, Royalist) candidate in the Presidential Election 2014. The team of Evolution and Continuity with Dr. Ashraf Ghani Ahmadzai as the presidential runners on 20140324 accused Paktia governor Juma Khan Hamdard for launching campaign in Zalmai Rassoul’s favor—a move which is against the electoral law. On Sunday afternoon (20140511) during a press conference, Zalmai Rassoul, the third leading candidate in the preliminary round, endorsed frontrunner Abdullah Abdullah. Rasul's first-vice-presidential running mate -- Ahmad Zia Masud, an ethnic Tajik and brother of Ahmad Shah Masud -- has reportedly given his backing to Ashraf Ghani. He is not married. Rasul's bachelor status has become a hot topic on the streets of Kabul, with some citizens concluding that the candidate is living in sin. According to the people Rasul has not only broken tradition but also failed to fulfill an Islamic duty. People say in Islam, a man's faith is only complete when he gets married. Dr. Zalmay Rasool is a multi-linguist who can speak Pashto, Dari, English, French, Italian and Arabic. Although he is a Pashtun, Rasul's Pashto is rudimentary, and he is believed to be taking lessons in order to communicate more directly with what is expected to be his core voter base.